Custom made New Hampshire promotional and specialty souvenir and collectible items. 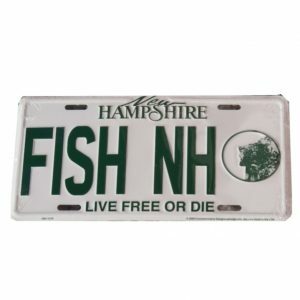 Specialty license plates in New Hampshire green and white featuring "Hike NH", "Hunt NH",and "Ski NH". 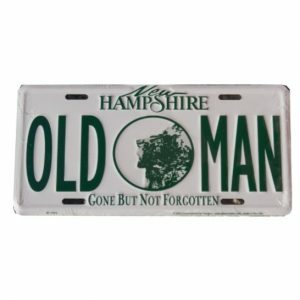 Old Man of the Mountain commemorative plate embossed with "Gone But Not Forgotten" with "Old Man" and art in the middle. All are medium duty aluminum and are standard 6"x12" size. Wholesale inquiries welcome.